On Wednesday, the New York Times ran five -- count'em, FIVE -- stories on Strauss-Kahn, Director-General of the International Monetary Fund. 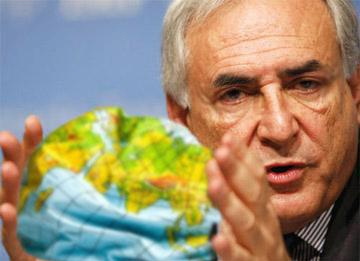 According to the Paper of Record, the charges against "DSK," as he's known in France, are in "contradiction" to his "charm" and "accomplishments" at the IMF. Let's consider how the housekeeper from Guinea ended up here in New York. In 2002, this single mother was granted asylum. What drove her here?